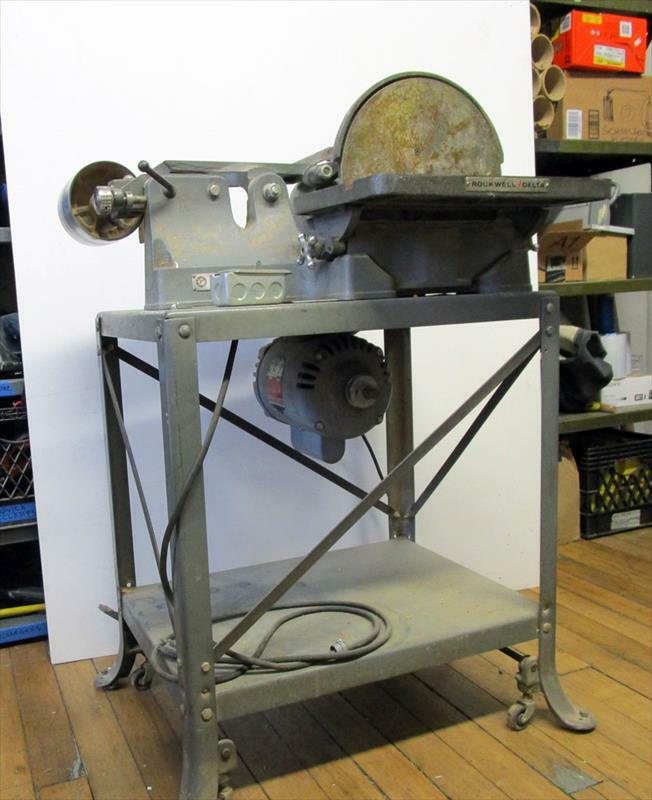 Rockwell 31-700 4"belt 12" disk sander, circa 1960s, s/n: DS6527, in good shape includes the original stand and Rockwell 115/230 volt motor. Machine being sold as is. Purchased it 3-years ago hoping to get it up and running but never found the time. Motor never tested. Sanding belt is missing dust collection catch/hood. Sanding disk has dust port connection. Will need new switch and wiring. Will need new V-Groove motor belt. Sanding belts (4" X 52-1/2") available at McMaster-Carr.